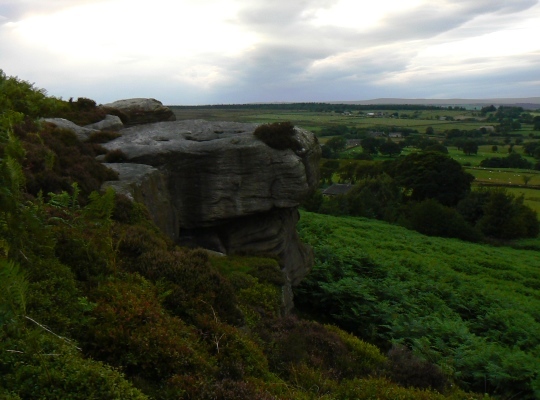 Snowden Crags are a set of modest gritstone outcrops located on access land north-east of the summit of Askwith Moor Road between Blubberhouses and Otley. 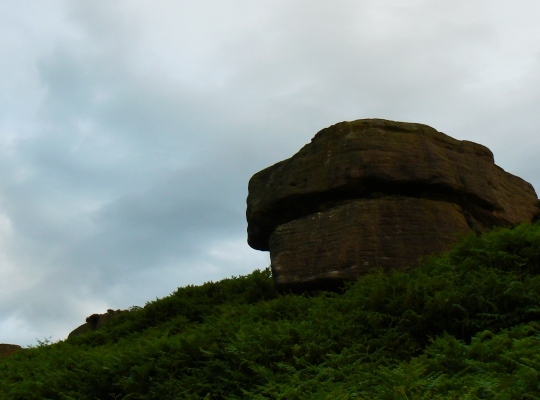 Rated as a good bouldering venue by the Yorkshire Mountaineering Club, the scattered crags are known to climbers by typically eccentric names such as Nigel’s Roof, The Bodger, The Brock and the Rainbow Wall. All of the crags can just as easily be walked on to and the view of the Wasburn valley from the crags is rather good. 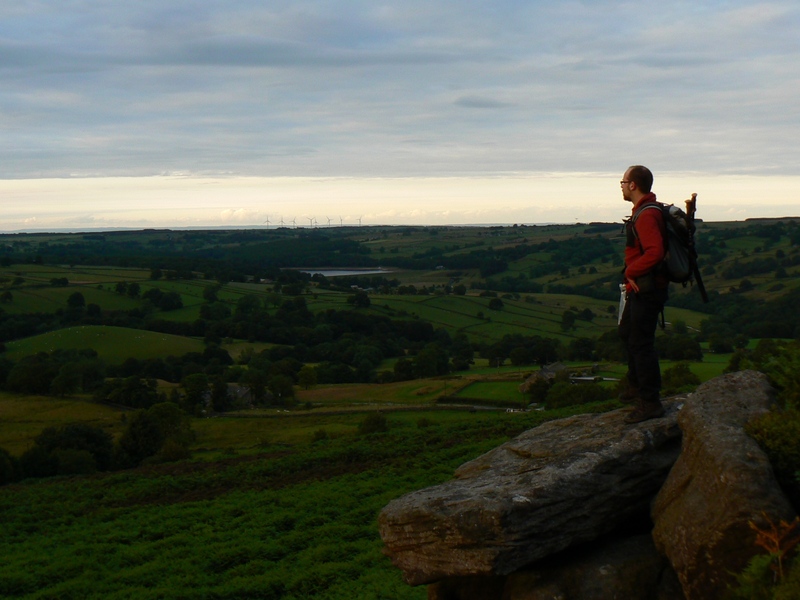 I visited Snowden Crags one summer’s evening in 2011 during a walk on to Askwith Moor from Timble. It was probably not the best time of year to visit as the foot of the crags was covered in a dense layer of bracken. Indeed the struggle from the foot of the crags to Snowden Carr Road through head high bracken has somewhat tainted my memories of Snowden Crags.